A testimonial from Carolyn Stansfield after last years September long term module at “Alchemy Place”. 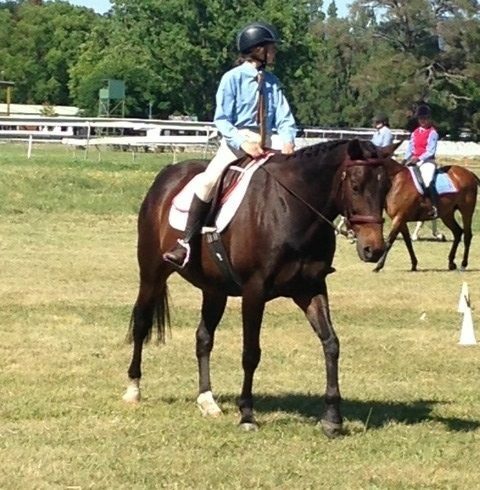 The photos with it are from Pony Club and an eventing clinic that Carolyn and her daughter Brooke later attended. 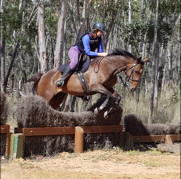 Carolyn emailed to say that she felt that without her 2 weeks here at “Alchemy Place” her horse would never have coped with the eventing clinic. 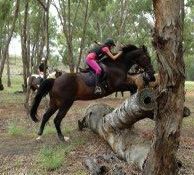 So good to see students happy and having success with their horses. An amazing 2 weeks at Alchemy Place with Mel Fleming and Tony Robinson teaching us how to be better with our horses and ourselves. Mel’s teaching is as always of an increasing high standard. She presents information in a concise and achievable manner to students at all levels within a group. There is never any judgement just encouragement and positive words. It is always a pleasure to spend time in her company. These couple of weeks we were also able to spend time with Tony who helped us to make huge shifts in ourselves which the horses were telling us needed to happen. It is so difficult to put into words what really happens when we connect on this deeper level. We did group and individual meditation sessions with Tony guiding us through our focus points. After each session we noticed significant changes in ourselves as well as our horses. Changes that Mel explained could not happen as quickly with just using her training techniques alone. I went up with my daughter Brooke and her new horse Moby. He is a beautiful big horse who has had a lot of show jumping and dressage experience. When we arrived he had severe muscle wastage in front of his croup and was a classic shoulder mover. When we left there was such softness through his whole body and he was able to show true roundness at the trot when Brooke rode him offering forward feel in the rein with Mel’s guidance. This was an amazing transformation to observe. I took up my horse Bobbie McGee who was previously known as Buster. He has been a challenge for many years and a few of you have seen him at intro clinics. Bobbie was finally able to soften in his body. We had an interesting moment when he developed sudden colic symptoms and was barely able to walk. I spoke with Mel about what I thought this was about in me and miraculously he got better! It was one of those you had to be there to believe it moments. This did however confirm for me the importance of the session we were later able to have with Tony. By the end of the clinic he was quite soft in his body and relaxed in his mind for the first time in his life. It was so fantastic to observe. 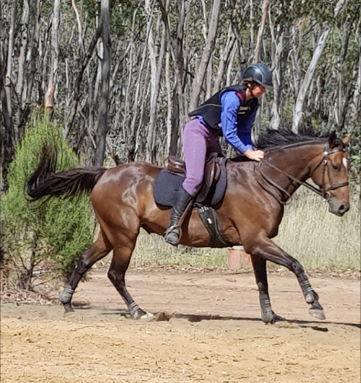 Our riding was able to reach a new level of softness with Mel’s guidance which was fantastic. These huge releases made him very tired on the last few days and we were only able to do a little riding. I found this a little frustrating but reflected back to all the good things we learnt over the 2 weeks and am so happy with our progress. Thanks Mel and Tony for your help, support and friendship. Your courses just get better and better. We came with an open mind and left in a better state of mind. Thank you so much. Also thanks to Mel’s horses and dogs for the beautiful energy they create for us at Alchemy Place. It is always a mission to get the rest of my life sorted to get there but well worthwhile. Looking forward to seeing you again for the next clinic.